The Education College Council (ECC) has extended the deadline to submit nominations for the 2016-2017 treasurer. We will be accepting nominations for those interested in serving as treasurer through Wednesday, April 6th. If you would like to play an active role in the direction of the College of Education’s student life, please consider nominating yourself for this exciting position! Submit your nomination here. Applications for 2016-2017 SAGE leadership are now being accepted! SAGE is a great way to serve the College of Education community and add to the service component of your professional persona. Serving as a SAGE officer enables you to create and engage in relevant professional development activities and fun social opportunities with your colleagues. SAGE will be accepting applications through April 1st. The method for choosing officers will be determined based on interest. If multiple people apply for a position, a vote will be held on the SAGE Facebook page. Nominees will have the opportunity to accept or deny the position upon election. Apply here. Please consider this opportunity and encourage others across the COE to apply for these important positions! Join our 2016-2017 FEA E-board: Applications are now open! ECC and SAGE will be hosting the first annual College of Education Research Symposium on Thursday, March 31st. The symposium will feature two poster sessions and a lively roundtable session. In addition to the research sessions, we will hold concurrent workshops on the academic job search and CV improvement. Registration for the event will begin at 2:30pm in the Terrace Room and poster sessions begin at 3:00pm. All students and faculty are welcome to attend and do not need to pre-register, but programs will be available in the Terrace Room for anyone interested in attending. We will hold a reception at 5:30pm outside Norman Auditorium and our keynote speaker, Dr. Benjamin Justice, will speak on “The Hidden Curriculum of Justice: How the American Criminal Justice System Educates, and Miseducates, Citizens” from 6:00-7:00pm in the auditorium. Please check out our Facebook page and flyer for more details. ECC and SAGE will host a panel discussion on March 31st from 3-4pm in Norman 2329 on The Academic Job Search. Panelists include Dr. Thomasenia Adams, Dr. Danling Fu, Dr. Katie Caprino, Mr. Matthew Cowley, and Dr. Angela Kohnen. Panelists will speak on compiling job documents, the job talk, attire and etiquette, and other essential topics relevant to the job search. A separate mini-panel discussion will take place between 5:00-5:30pm the same day and place on negotiating a job offer. More details available: https://www.facebook.com/events/569217733243797/ and https://www.facebook.com/events/716952905107854/. Meet over 50 reps in the education industry about positions in the classroom, counseling or school administration, and more at the Careers in Education event on Wednesday, April 6th from 5:00-7:00pm. See flyer for more details. The fifth anniversary Generation W event is scheduled for Friday, April 8th. 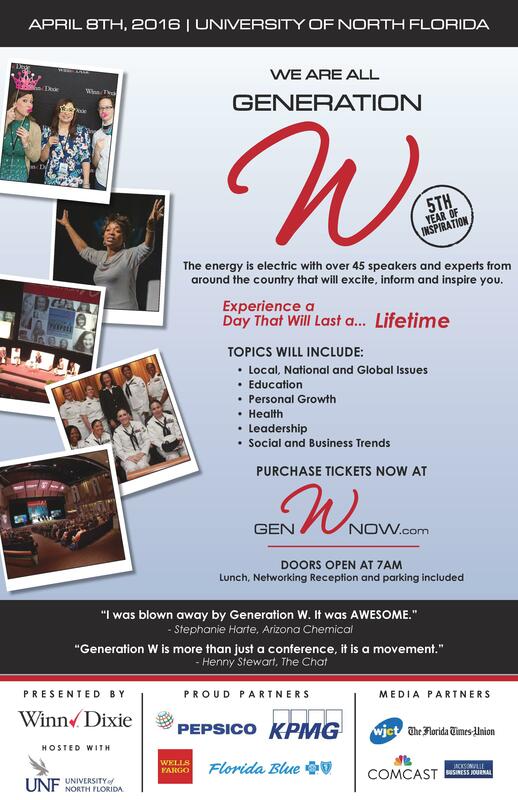 Our lineup of speakers and panels will provide an incredible day of information, inspiration and motivation for all ages. We would like to extend a special student rate of $25 to allow UF students to attend. You can purchase tickets at the discounted rate here. Additional details available here. Graduating students are welcome to attend the annual Dekalb County School District Fair on Saturday, April 16th. Pre-register at www.pats.dekalb.k12.ga.us/recruit. More details available here. Position available for one or two advanced undergraduate or graduate students to enter data for Embedded Instruction California, an outreach project to adapt, pilot, and evaluate professional development on strategies for embedding instruction for young children with disabilities in typical routines and activities in early childhood classrooms. Data entry may involve documents or video. Knowledge of EXCEL™, attention to detail, reliability, flexibility, and maintaining confidentiality are important qualifications. The position is a short-term, hourly position that is available immediately and may include the summer semester. A minimum of 10 hours per week is preferred. Students will be paid $10-$12/hour, depending on experience. The position includes a brief orientation and training and ongoing supervision by a project coordinator. This is an excellent opportunity for students who are interested in professional development, coaching, or instructional approaches in early childhood and would like to gain experience in research. If interested, please email a brief statement describing your interest, the number of hours you are available, and a resume to Dr. Kimberley Megrath, Associate Research Scientist, Anita Zucker Center for Excellence in Early Childhood Studies, kmegrath@coe.ufl.edu by Friday, April 15th. KIPP Jacksonville Schools is now hiring lower elementary, certified teachers for the 16-17 school year in our Baker Teaching Fellowship. Click here to learn more and start an application for the position. We offer extensive professional development and the highest starting salaries in Florida ($42,500) during the fellowship year. We will be on campus at the Education Fair on April 6th and look forward to meeting you then! Elite Education Academy, representing our international schools in China, recruits the American faculty team focusing on IB/AP courses training and helping foreign kids prepare for study abroad. For further information, please click here. Full description and application instructions at Resilience Charter School – Employment Application. Visit http://resiliencecharter.org/ or https://www.facebook.com/groups/gvillecharter/ for more information about the school. Tomorrow’s Youth Organization (TYO) is an American nonprofit working with disadvantaged children and women in the Middle East and we are recruiting English as a Foreign Language (EFL) Teaching Fellows! The application deadline is April 15th, 2016. This fellowship, based in the West Bank city of Nablus, is a terrific opportunity for students and recent graduates of the University of Florida’s College of Education to gain international professional and personal experience. Full description and application instructions available at EFL Teaching Fellowship. Several K-12 schools in China are hiring experienced teachers to teach English. Applicants with 1 or more years of work experience in education and are ready for an immediate start are preferred. It would be a great opportunity for anyone interested in further exploring the Chinese culture, or aspiring to work in the education field. See attachment for requirements and application information. The PACE Center for Girls Internship Program is offering a small group of outstanding students the opportunity to acquire direct exposure to non-profit management. We accept students currently enrolled in a bachelor or master’s degree, as well as recent graduates (maximum one year after graduation). Internship assignments vary greatly in terms of content. We offer unpaid intern positions in the areas of programming, administration, development, special events, and outreach. Every attempt is made to match the interests of the intern with the needs of the organization. For more information and to apply, please click here. The deadline is Monday, April 11. Contact the Volunteer and Outreach Coordinator, Stephanie Darilus if you have any questions at Stephanie.Darilus@pacecenter.org. Faculty, staff and graduate students are invited to apply to facilitate the LeadUF experience for undergraduate students. Click here for more information. 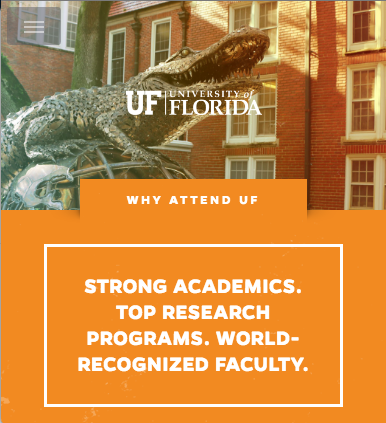 LeadUF Facilitators should possess excellent, interactive presentation skills and have a willingness to foster a mentoring relationship with undergraduates at the University of Florida. To be considered for this professional development opportunity, please submit an application as soon as possible. Limited spaces available! The first training session will be held April 1st (make up sessions available). floridaalternativebreaks@gmail.com with any questions or concerns. Are you looking for a fun, rewarding way to spend your summer? Boys and Girls Club of Alachua county is looking for interns for this summer! The UF Boys and Girls club is a new organization started to facilitate interns for the three Boys and Girls club centers here in Gainesville. We focus on using UF students to better their afterschool and summer programs by providing tutors and support for the children to learn and grow in a safe environment. Following internship completion there could be opportunities to be employed by Boys and Girls Club and advance to the local and national level. There are many internship positions available including program coordinator, public relations, administrative, event planning and many more. We are looking for people passionate about teaching and bettering the community. We want to provide the most skilled and helpful students to the organization so they can make a difference for the children and the Gainesville area. The organization, Students for Anti-Bullying Initiatives (SABI), seeks to bring awareness to the issues of bullying and cyberbullying. We are advertising for new officers to join our leadership team. Position descriptions available here. What can you do to prepare for the dissertation defense? Join us for a discussion about tactics to prepare you for defending your doctoral dissertation. Faculty members who have served on committees will share their knowledge, while students who are in the midst of preparing to defend their dissertations will provide tips and tricks for success! Snacks and beverages will be provided. If you’re looking into academic jobs, you most likely already know that your CV is an incredibly important part of your job application documents. However, graduate students are often provided very little formal guidance while developing their CV. As part of this year’s College of Education Research Symposium, we are offering a professional development opportunity aimed at improving this all-important document. Between 4-5pm on Thursday, March 31st, COE faculty members will meet one-on-one for ten minutes with individual students to answer any questions you may have about your CV, provide general comments, and make suggestions for improvement. If you are interested in this opportunity, please sign up here with your preferred “CV Doctor” and time slots. Sign-ups will be open through March 23, 2016 at midnight, but appointments will be made on a rolling basis. Sign-up early for the reviewer and time of your choice. You will be informed via email of your reviewer, time slot, and the location of the review session shortly after submission. If you have any questions, please contact Stephanie Schroeder at stephyuf@ufl.edu. UF College of Education Leaders in Education Roundtables provide an opportunity for just and passionate minds from the UF and Gainesville community to come together to discuss and develop interdisciplinary solutions to pressing community issues. Experts and novices from all fields are encouraged to attend. Our first roundtable will bring together stakeholders in the fields of education, poverty, and health care to tackle issues within and intersecting with Early Childhood in Gainesville. Join us on Wednesday, March 30th from 10am-12pm in the Terrace Room. RSVP to grace4@ufl.edu. This summer (July 11-15, 2016), we will be conducting our 6th education conference (Teacher Summer Institute) in Croix-des-Bouquet, Haiti. We are seeking qualified and motivated teachers, scholars, school administrators, general health and mental health professionals looking to engage in a reciprocal exchange of information with the teachers of Haiti. Teacher Summer Institute 2015 Haiti video. More information available on this attachment. There will be a Fulbright U.S. Student Program Information Session at 3 to 3:50 p.m. on Wednesday, March 30th at the International Center. The Fulbright U.S. Student Program provides grants for individual student/research projects or English teaching assistant programs. Candidates submit a Statement of Grant Purpose defining what they’d like to do during one academic year in a country outside the United States. The program encourages cultural exchange for participants on an individual basis in the classroom, field, home and in routine-tasks, allowing participants to gain an appreciation of others’ viewpoints and beliefs. Fulbright alumni have gone on to achieve distinction in a variety of fields. 54 Fulbright alumni from 14 countries have been awarded a Nobel Prize, 29 alumni are MacArthur Foundation Fellows, 82 alumni have Pulitzer Prizes and 33 alumni have served as heads of states or government. If interested, make sure to attend this information session. For more info, please contact Regan Garner at rlgarner@ufl.edu. ECC and SAGE will be hosting the first annual College of Education Research Symposium on March 31, 2016. The symposium will feature two poster sessions and a lively roundtable session. In addition to the research sessions, we will hold concurrent workshops on the academic job search and CV improvement. Registration for the event will begin at 2:30pm in the Terrace Room and poster sessions begin at 3:00pm. All students and faculty are welcome to attend and do not need to pre-register, but programs will be available in the Terrace Room for anyone interested in attending. We will hold a reception at 5:30pm outside Norman Auditorium and our keynote speaker, Dr. Benjamin Justice, will speak on “The Hidden Curriculum of Justice: How the American Criminal Justice System Educates, and Miseducates, Citizens” from 6:00-7:00pm in the auditorium. Please check out our Facebook page and flyer for more details. Cobb County Schools would like to invites you to our Job Fairs! We are planning to hire around 600-700 teachers and every Principal will be there. Register now at www.teachcobb.com. KIPP Jacksonville Schools seeks new educators that desire to begin their teaching career with the best start possible. We are actively hiring passionate teachers to join our Baker Teaching Fellowship to ensure our students receive the highest-quality education they deserve. KIPP is a national non-profit network of college-preparatory, public charter schools serving 70,000+ students. We have a 20-year track record of preparing students in educationally underserved communities for success in college and life. The only KIPP schools in Florida are in Jacksonville, Florida where we will serve almost 1,000 students next year. Fellows are certified and full-time teachers in our lower elementary classrooms. Full-time salary during the fellowship year is $42,500. Upon successful completion of the program and an offer of a first-year Lead Teacher position, the salary increases to $47,000. Start an application today at http://www.kippjax.org/teach-for-kipp/btf and we look forward to being on campus the first week of April! 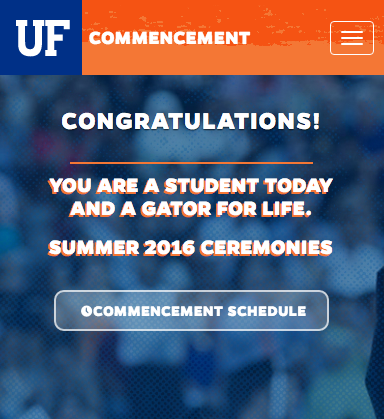 Email UF alumni Lauren at lmartin@kippjax.org for additional information! The Olancho Aid Foundation has many projects in the department of Olancho. Currently we are recruiting for college graduate volunteers to teach in our bilingual elementary and high schools. This is a great opportunity for individuals to live abroad while gaining great bilingual education experience. Teachers do not have to be bilingual and will be teaching the English Language Classes such as Reading, Writing, Spelling, and Phonics in the elementary school and a variety of topics all taught in English in the high school. Click here for more information. We also run an English Immersion Summer Camp and are currently recruiting college students who wish to spend their summers volunteering abroad as camp counselors. Please see flyer for additional details. Applications for new SAGE leadership are now being accepted! SAGE is a great way to serve the College of Education community and add to the service component of your professional persona. Serving as a SAGE officer enables you to create and engage in relevant professional development activities and fun social opportunities with your colleagues. SAGE will be accepting applications through April 1st. The method for choosing officers will be determined based on interest. If multiple people apply for a position, a vote will be held on the SAGE Facebook page. Nominees will have the opportunity to accept or deny the position upon election. Apply here. Please consider this opportunity and encourage others across the COE to apply for these important positions! ECC Elections – CALL FOR NOMINATIONS! The Education College Council (ECC) will be holding open nominations for the 2016-2017 executive officers Monday, March 14, 2016 through Friday, March 25, 2016. If you would like to play an active role in the direction of the College of Education’s student life, please consider nominating yourself for one of these exciting positions! Submit your nomination here. Bridge Education Abroad Institute (BEAI) has Summer Programs available in Cape Town and Johannesburg for the month of June. This program will include lectures from experienced professors and guest speakers from all over the globe, including the United States of America. Please refer to the handout for additional information. FEA is excited to host its third workshop of the Spring semester. Come join us as we learn ways to assess classroom climate. We are excited to welcome Dr. MacSuga-Gage and Dr. Gage, our guest speakers, as they share with us their insight on the topic guided through experience and research about Classroom Climate. Join us, Wednesday, March 16th at 7:30pm in the Norman Terrace Room for a great time! UF College of Education Leaders in Education Roundtables provide an opportunity for just and passionate minds from the UF and Gainesville community to come together to discuss and develop interdisciplinary solutions to pressing community issues. Experts and novices from all fields are encouraged to attend. Our first roundtable will bring together stakeholders in the fields of education, poverty, and health care to tackle issues within and intersecting with Early Childhood in Gainesville. See attachment for RSVP and location. Join us for lunch and discussion about current events related to race. Further details provided here. ECC and SAGE will host a panel discussion on March 31st from 3-4pm in Norman 2329 on The Job Search. Panelists include Dr. Thomasenia Adams, Dr. Danling Fu, Dr. Katie Caprino, Mr. Matthew Cowley, and Dr. Angela Kohnen. Panelists will speak on compiling job documents, the job talk, attire and etiquette, and other essential topics relevant to the job search. A separate mini-panel discussion will take place between 5:00-5:30pm the same day and place on negotiating a job offer. Be on the lookout for more details. 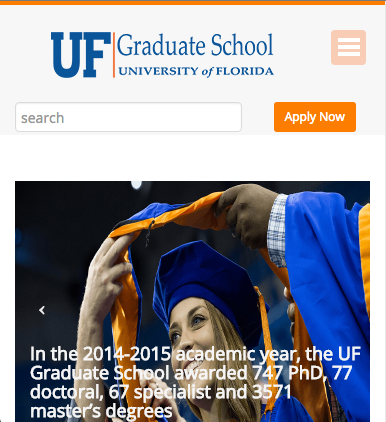 The Bob Graham Center for Public Service at the University of Florida and the UF Division of Student Affairs invite UF students to propose projects that will enrich our campus and Florida’s communities. Healthy civic campuses and communities are characterized by involved citizens, responsible leadership, and actions and initiatives that assist fellow citizens and students. They promote high levels of trust, connection, confidence, and engagement, and their members volunteer, stay informed, and express themselves in a civil manner. Selected proposals will be creative and innovative and will aim to strengthen the University of Florida campus, our Florida communities, or both. Projects can take many different forms, with a focus on social, economic, educational, health, and political issues, or on some combination thereof. They can also examine a community in Florida or some aspect of student life on the UF campus, or both, but they must be collaborative, groundbreaking, and promote achievable objectives. Applications are open to all interested undergraduate and graduate students on campus. Grants of up to $5000 will be awarded to selected proposals. The deadline for entries is March 18. Click here for more information or email Kevin Baron at kbaron76@ufl.edu. The Center for Leadership and Service (CLS) Ambassador Applications are open! The CLS is looking for outgoing, motivated, and personable students dedicated to representing the CLS as an office and hub for service and leadership on campus. This group of students is responsible for promoting our mission and raising the profile of the CLS. Ambassadors participate in and assist with major CLS initiatives, give presentations on leadership and service across campus, and focus on both student and alumni outreach. Candidates who enjoy public speaking, have excellent interpersonal communication skills and a desire to learn about leadership, personal values, service, reflection and social change are encouraged to apply by March 20th! Join us on Wed, March 16th at 6pm to learn more about the Master of Science in Management (MSM) program designed specifically for students from non-business majors. MSM students gain a solid business foundation and strengthen transferable skills to open up advancement opportunities within their undergraduate major field or business sector. Click here for information session dates and program contact info. If you’re looking into academic jobs, you most likely already know that your CV is an incredibly important part of your job application documents. However, graduate students are often provided very little formal guidance while developing their CV. As part of this year’s College of Education Research Symposium, we are offering a professional development opportunity aimed at improving this all-important document. Between 4:00pm and 5:00pm on March 31, 2016, COE faculty members will meet one-on-one for ten minutes with individual students to answer any questions you may have about your CV, provide general comments, and make suggestions for improvement. If you are interested in this opportunity, please sign up here with your preferred “CV Doctor” and time slots. The Education College Council, the umbrella organization representing all clubs in the College of Education, will be holding college-wide officer elections for the 2016-2017 academic year in early April. Officers of ECC gain valuable leadership skills and have the opportunity to learn the inner-workings of a Student Government organization, while at the same time providing a space in the college for collaboration and communication. A call for nominations for officer positions (president, vice-president, treasurer, and secretary) will be sent out in mid-March. If you are looking for a way to have your voice heard in COE by serving on the Education College Council, please be on the lookout for this call for nominations! All undergraduate and graduate students in the college are encouraged to nominate themselves or others for a position. If you have any questions, please contact the current ECC president Stephanie Schroeder at stephyuf@ufl.edu. Join over 250 UF Undergraduate Researchers on Thursday, March 24th at the campus wide showcase of undergraduate research being conducted in all disciplines and colleges. Click on the following links for more information: event description, submit an abstract, tentative schedule. Abstract deadline: Thursday, March 3rd. SRC, hosted by the Harvard Graduate School of Education, is the nation’s largest student-run conference on education research. This year our conference theme is “Innovating for Equity: Creating Opportunity through Research” and we have approximately 140 presenters from 21 universities across the country. Our keynote speaker is Anant Agarwal, CEO of edX, a leader in the educational technology/MOOC space. The conference will be held on Friday, March 25th from 8am-6pm. The fee for attending the conference is $45, which includes a light morning breakfast, lunch and evening reception. Click here to register. Students are also welcome to follow the SRC Facebook page for important conference updates. I am looking for a tutor for my kids, one of them is 7 year old boy and the other is 10 year old girl. They really want to meet a warm and reliable tutor for studying English. Please contact Junghee at 352-363-9208. The Disability Affairs Cabinet through Student Government is hosting a screening of Lizzie Velasquez’s: “A Brave Heart”. This screening will take place on Tuesday, March 8th in the Reitz Union Auditorium. In partnership with New Student and Family Programs and the Disability Resource Center, we will be providing popcorn and soft drinks at this event. Doors will open at 6:00 p.m. for refreshments and the screening will begin at 6:30 p.m. If you need accommodations, please email able@sg.ufl.edu. We hope to see you there! More information available here. Seniors, if you haven’t finalized your plans for next year, I encourage you to consider a non-traditional, post-graduate opportunity with Teach For America. 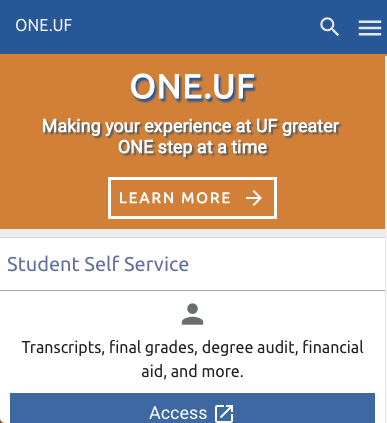 If you are even 1% interested in creating an option for yourself after graduation, take 5 minutes to register on the website to get connected to events, alums and more information. The application is non-binding, so starting one does not mean you’re locked into applying. Juniors, you can apply early as well for our March 4th and April 20th early junior deadlines. Remember, it’s all about giving yourself options! Click here for more information.